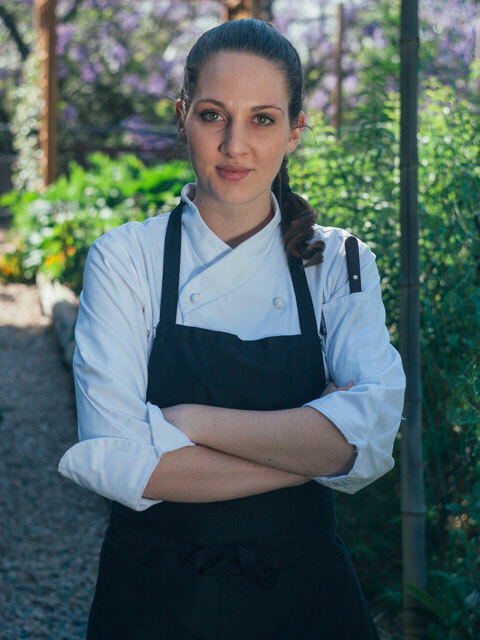 Considering she’s the up-and-coming pastry chef at Joburg’s trendiest five-star hotel, Debbie Diesel is fresh-faced and humble – with just the right amount of sass. She shuffles around her bustling kitchen with the ease and confidence of baking at home on a Sunday afternoon – even though she’s in the middle of lunch service at The Saxon. 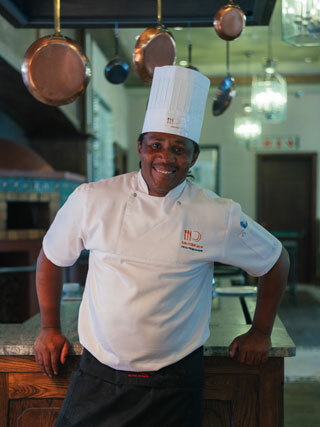 After learning to cook by default, Siya Kobo has worked in some of South Africa’s most incredible kitchens. 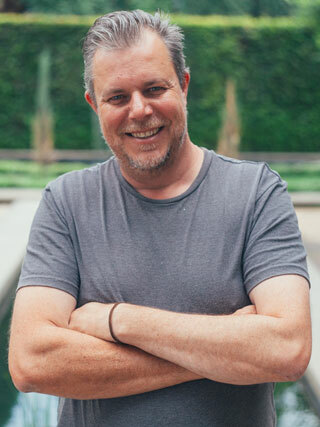 Growing up near Umtata, the self-taught chef watched his family and friends prepare food the only way they knew how – with simple, uncomplicated cooking methods and authentic South African ingredients. The Five Hundred at the Saxon is all about precision. From the crisp white tablecloths, to impeccably curated art, to delicately plated six course dining experiences. 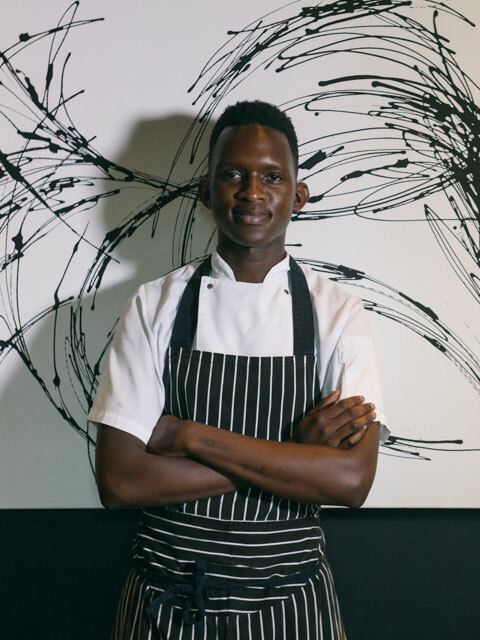 Vusi Ndlovu, Chef de Partie under renowned kitchen cowboy David Higgs, is dedicated to the art of precision – even when he was only making eggs. The exterior of Arnold Tanzer’s Food on the Move premises are unassuming, unexpected. Burrowed in a side street of Johannesburg’s up-and-coming industrial-chic hub, Kew, the building itself is a mashup of modest brick – but the inside is something spectacular. A leafy oasis of carefully pruned floribunda and koi ponds. Tanzer’s premises seem an extension of himself – a humble, All Star-wearing peoples’ cook. Kitchen veteran Jade Sullaphen is a stalwart in iconic kitchens across South Africa these days – but he seems most at home, today, in the lively kitchen of the Southern Sun Montecasino. 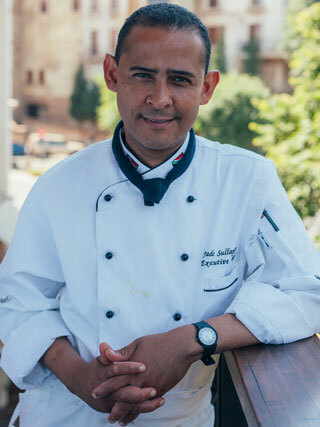 Now at the helm of several Tsogo Sun Hotel Kitchens, Sullaphen uses his valuable experience every day, as he guides a team of chefs and food service professionals. Leila Saffarian has no professional culinary training – but she doesn’t need it. 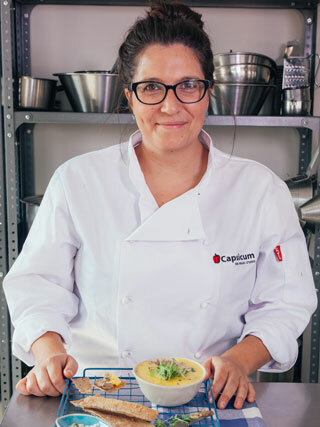 Her innate sense of magical flavour pairings and a penchant for predicting food trends means she’s fast becoming the go-to food stylist and recipe developer for South African foodie publications and brands. Chef Minette Smith is on a mission to celebrate the delicious. 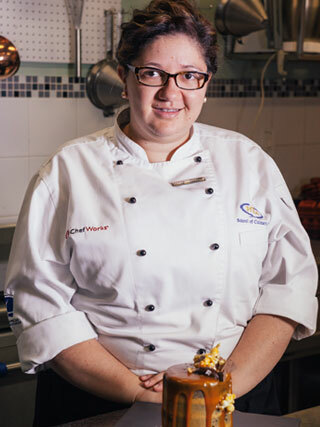 In her role as head of patisserie at renowned culinary establishment HTA, she’s dedicated to teaching her students to cook first with their noses and taste buds – all while imparting her trademark precision.